MARC Pingris has his work cut out for him anew as he is expected to defend in-form import Ivan Johnson when Purefoods and Talk ’N Text begin their PBA Commissioner’s Cup semifinals showdown on Wednesday. Johnson has been on a tear of late, norming 40.1 points on a 61-percent clip from beyond the arc on top of 14.2 rebounds and 2.3 steals in his last three games for the Tropang Texters. But if there’s someone who can stop the former Atlanta Hawk, it’s Pingris. 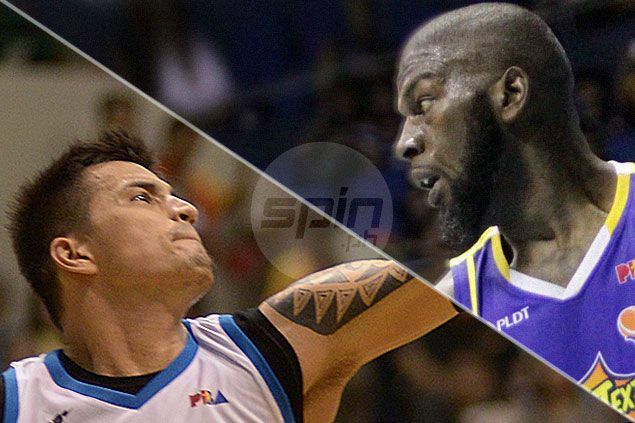 The Hotshots’ import stopper proved it in the quarterfinals where he shadowed another former NBA campaigner in Alaska reinforcement Damion James. After averaging 28.3 points and 48.3 percent from the field in seven games in the elimination round, James was held to an average of 21 points and 33.3-percent shooting in two games in the playoffs. And whatever he did against James, that’s what Pingris will do against Johnson. “Katulad ng dati, depensang Ilokano,” said the pride of Pozorrubio, Pangasinan. Pingris has actually had success manning the temperamental Johnson. In the Hotshots’ 118-117 triple-overtime win over the Texters last March 14 in a road game in Davao, Pingris helped limit Johnson to 26 points, the import missing 14 of his 26 shots, including all six three-pointers, in 42 minutes. It was Johnson’s second-lowest scoring output this conference and the only time he failed to make at least one triple, while playing the most minutes he’s had this conference. It resulted in a Texters defeat, their last loss before going on this current three-game winning streak. Pingris admitted he will have his hands full not only against Johnson but against the other Texters big men. “’Yun (defense) yung trabaho ko dito,” the All-Defensive team mainstay said. “Pero hindi lang siya ang kailangan problemahin. But the Gilas Pilipinas stalwart has no complaints as he teams up with Rafi Reavis in anchoring the Hotshots’ defense.